Linked Data on the Web? Linked Data provides a flexible data model. Linked Data facilitates metadata integration. Linked Data connects metadata across the Web. Aggregators get access—we remain the authority. We have our own metadata priorities. We cannot maintain all metadata ourselves. We link to other authorities. Show metadata for a specific subject. Show a custom selection of metadata. Why is this still necessary? There’s no single source of truth. in an increasingly centralized landscape. Linked Data does it the right way. No disconnected silos, but a connected knowledge graph. but how do we query? 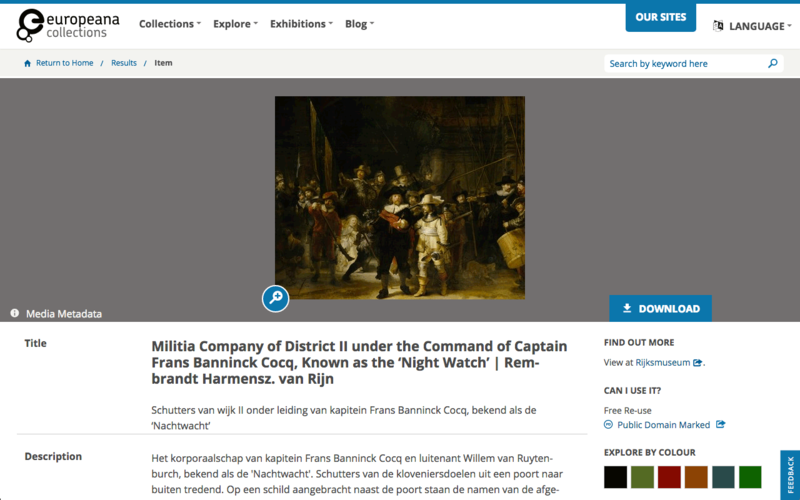 Europeana is an aggregator of metadata. 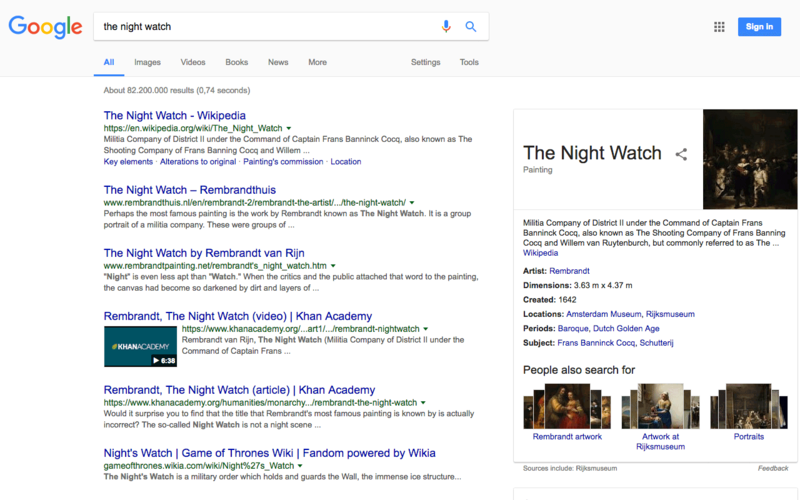 Google is also an aggregator of metadata. into a single centralized view. They facilitate exploration across datasets. Are records up-to-date and complete? Can/should every dataset be included? If so, how to guarantee quality? Where is the benefit for individual publishers? only for the happy few? can make sense of the Web’s Linked Data. They offer intelligence as a service. but not the intelligence around it. Data needs publication through appropriate interfaces. often in custom, publisher-dependent interfaces. Many APIs are tailored to a handful of use cases. Integrating and/or using them can be expensive. but servers that enable intelligence. metadata publishers cannot foresee yet. what Linked Data did for data. Evaluation a query over a federation of sources shows the power of Linked Data. Querying multiple data sources at runtime is called federated querying or virtual data integration. Clients can query different sources simultaneously. were written by people born in The Hague? Decentralization is crucial for making this work. but not all Web APIs are ready. Linked Data is made for the Web. Different sources, same data model. A Web API ecosystem is not yet in place. Different API, different access steps. depends on a sustainable Web API ecosystem. We need interoperable, flexible, low-cost interfaces. How does Linked Data help decentralization? It has a flexible data model. No; although true, this is not directly related to decentralization. Yes: URIs help establish shared concepts across sources. It does not require a single source of truth. Yes: this allows multiple sources to contain partial data. What is a possible role for aggregators? They should be the sole publishers of metadata. No, this would give several problems, such as update frequency. Aggregators can facilitate exploration across datasets. Yes, since they have knowledge about how different datasets connect. They can guarantee metadata quality. No, automated aggregation comes with quality challenges. What is a problem with current Web APIs? They often are highly custom implementations. Yes, this makes integration costly. They do not expose all data. No, this is not a general problem. They only support specific use cases. Yes, APIs are often tailored to specific scenarios. Yes, this is the definition. No, non-federated queries can also happen on the Web. No, while federated queries often take more time, it is not an inherent part of federation.